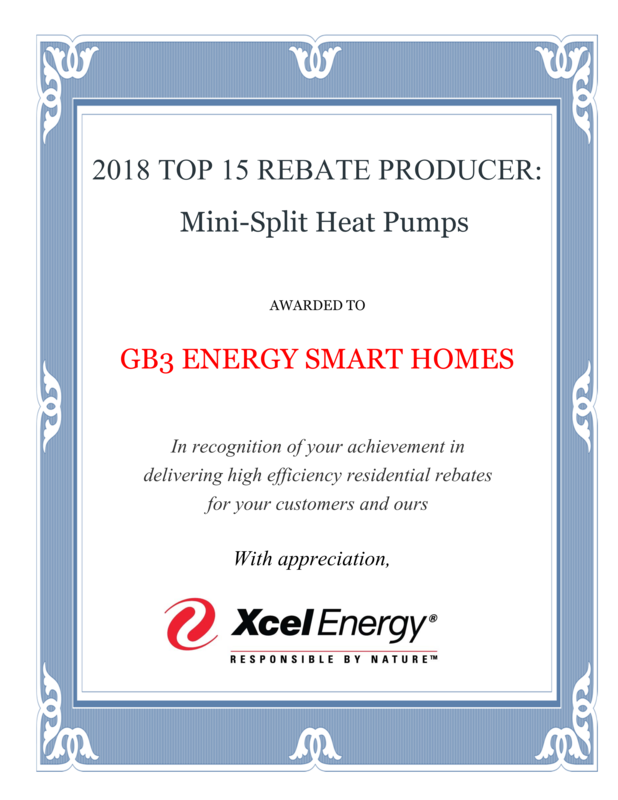 Welcome to GB3 Energy Smart Homes — the full service home energy company serving the Front Range. Our mission is to make your home and business more comfortable, healthy and energy efficient — even to Net Zero Energy. We provide objective and comprehensive energy audits to identify and quantify how your building works. More importantly, we provide complete performance improvements—adding insulation, heating and cooling upgrades, crawlspace conditioning, weatherization and air sealing, windows, air sealing, ventilation—whatever it takes to make your building more healthy, safe, comfortable and efficient. Using the latest diagnostic equipment combined with our building science expertise, we provide prioritized recommendations for improvements that make a real difference for our clients. We follow the best-practices of the Building Performance Institute, including complete health and safety and radon testing, and we're recently awarded the Colorado Energy Star Home Performance Contractor Champion of the Year for our outstanding work. GB3’s philosophy is to maximize performance with minimal investment. You’ll be pleased at the results including improved indoor air quality, increased comfort, and improved building durability—all while decreasing your monthly utility bill. Please contact us to schedule your audit or to speak with any of our happy clients.